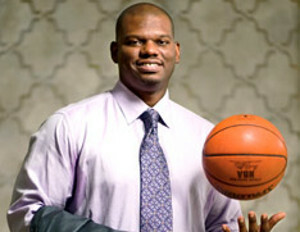 Jamal Mashburn is most notably known for his success on and off the basketball court. The former college and NBA All Star spent over 20 years with the Kentucky Wildcats, Dallas Mavericks, Miami Heat, and New Orleans Hornets, where he dribbled, dunked, and dazzled fans. Yet, before Mashburn ever set foot on the professional hardcourt, he was already preparing for his successful transition to the boardroom. While Mashburn served as an ESPN on-air NBA analyst from 2006-2010 after retiring from the sport, he took his skills straight to the business arena. To date, the savvy entrepreneur has ownership interest in numerous restaurant franchises (38 Outback Steakhouse restaurants, 40 Papa John’s pizza restaurants, and three Dunkin Donuts stores), car dealerships (Kentucky’s Toyota on Nicholasville and Lexus Store of Lexington), real estate, and the thoroughbred horse racing industry. He also is a Board Member of the ROI Acquisition Corporation and the FairBridge Hotels International. Mashburn has been beating the odds. There are countless reports of hundreds of athletes who made enormous amounts of money during their careers only to wind up with nothing after they retire. In fact, recent studies show roughly 70% of professional athletes go broke within a few years of hanging up their jerseys. The former pro athlete is actually stepping up his game, taking it to next level. Last year, Mashburn teamed up with NFL offensive tackle Winston Justice to launch a venture capital firm that invests in high-tech startups. Justice Mashburn Capital Partners, as the firm is called, made its first investment in LevelEleven Inc, a company that develops gamification sales apps. He attributes his success as an entrepreneur to his team building prowess. He has assembled a group of professionals specializing in administration, finance, project management, insurance, and advertising. This rock-star team quickly developed an ownership model that resulted in his impressive business portfolio.